Posted on 02/18/2019 by Mickey McCarter	in Live Review and tagged Canada, Emily Haines, Metric, new wave, The Fillmore Silver Spring. 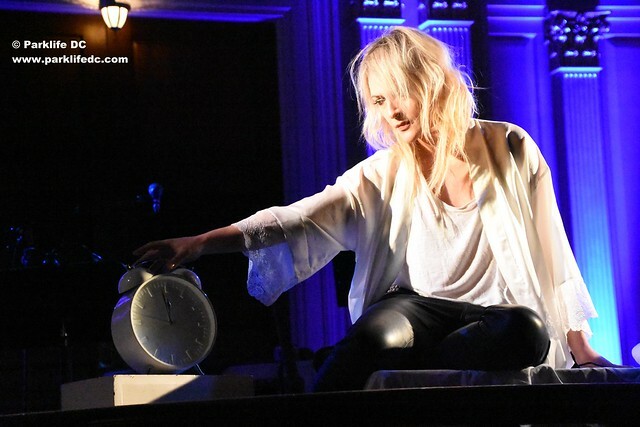 When Emily Haines of Metric sang at The Fillmore Silver Spring on Friday, she sang with her whole self — which is to say that physically she threw her body into song, but psychically she threw her mind into it as well. 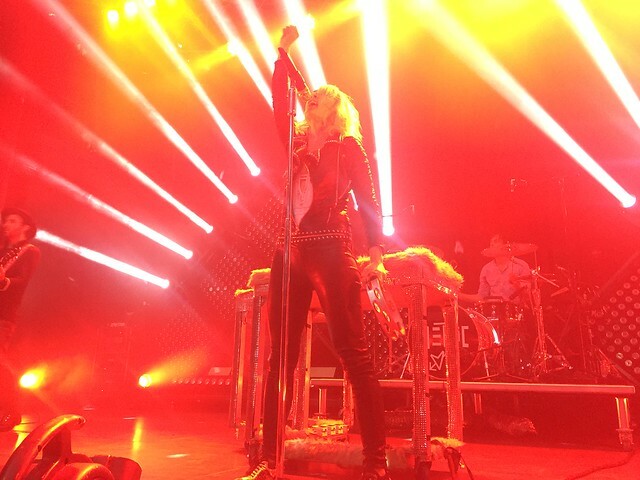 Posted on 02/06/2019 by Parklifer	in Preview and tagged Canada, Emily Haines, Metric, new wave, The Fillmore Silver Spring, Toronto. Canadian quartet Metric released Art of Doubt, a wonderfully brilliant new wave album, last year, and soon they will tour it in the United States. Locally, Metric will perform at The Fillmore Silver Spring on Friday, Feb. 15 in a double bill with Latin rock band Zoe. Posted on 09/19/2016 by Mickey McCarter	in Live Review and tagged business incubator, CHVRCHES, entrepreneur, Hudson Mohawke, Lettuce, Metric, music festival, Pittsburgh, The Chainsmokers, Thievery Corporation, Thrill Mill Inc., Thrival Innovation + Music Festival, Thrival Music Festival, Ty Dolla $ign. 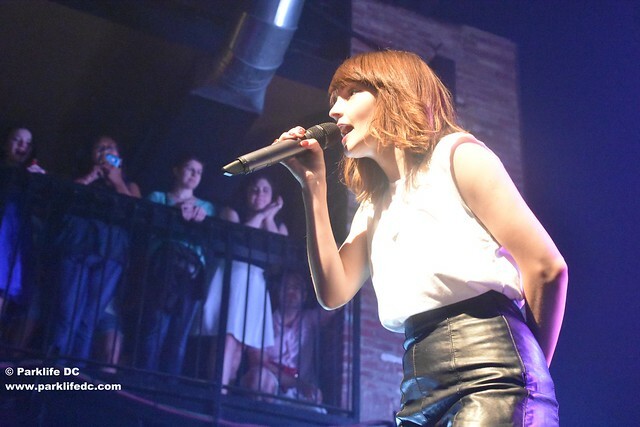 Lauren Mayberry of Chvrches performs in Baltimore, Md., on June 12, 2016. Much of Pittsburgh has been embracing a new economy that encompasses industries outside of its traditional steel-town past. Thrill Mill Inc., a nonprofit that provides local entrepreneurs with free resources to grow business, supports the growth of Pittsburgh companies in new frontiers. Posted on 03/15/2016 by Mickey McCarter	in Live Review and tagged Emily Haines, Metric, new wave, The Fillmore Silver Spring, Toronto. Emily Haines steps onto the stage and the room lights up. Well, it literally does light up with intense shades of red from an explosive light show that her band Metric have orchestrated at the Fillmore Silver Spring on Sunday night. But it also lights up in the way that you cannot help but smile and gasp when Emily bounds onto stage to take her place alongside her bandmates. Ebullient and effervescent, Emily engaged the audience throughout the evening in a show worthy of the band’s consistently strong material. Metric performed for nearly two full hours for a stop in their “I Can See the End” Tour, a name lifted from a line in “Breathing Underwater” from their 2012 album, Synthetica. The set list drew heavily from the last two albums (Synthetica and sixth album, Pagans in Vegas), but the band touched on all six of their records, kicking things off with “IOU” from their very first album, Old World Underground, Where Are You Now? 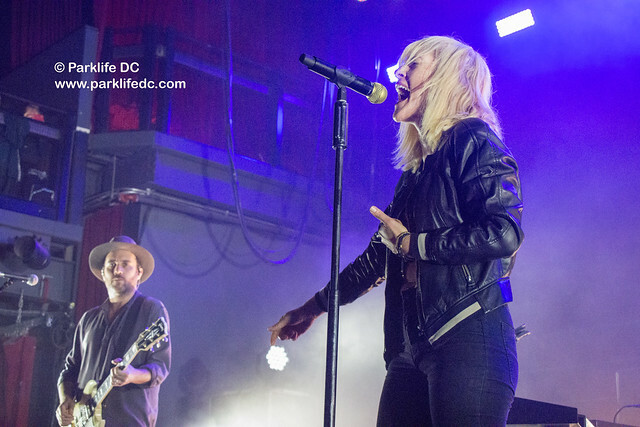 Posted on 03/09/2016 by Mickey McCarter	in Live Review and tagged Emily Haines, Joywave, Metric, new wave, The Fillmore, The Fillmore Silver Spring, Toronto. 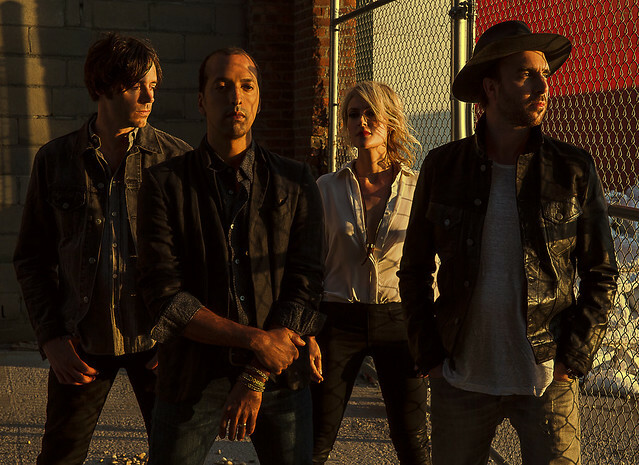 Last September, Metric released a fantastic new album — their sixth — Pagans in Vegas. It continues a journey Metric began with their first album, as the Toronto quartet have blazed a trail from catchy melodies and clever wordplay to sophisticated vignettes of complex musical arrangements. While fourth album Fantasies had a big sound reflecting its themes of life among others and fifth album Synthetica turned inward to assess life within ourselves, the new album straddles the two, which is appropriate as the band said they drew inspiration from influences like Depeche Mode and Underworld. The resulting songs occasionally project out or turn inward, but the results always make for excellent songcraft. Now Metric return for their own headlining tour at The Fillmore Silver Spring this Sunday, March 13, in what is certain to be a great show. Metric also recorded acoustic versions of four of their songs this year at 11th Street Records in Las Vegas for a Spotify Session. Listen on Spotify! I have long pointed to Metric as the standard-bearers for intelligent new wave music since their formation in 1998, and The New York Times recently echoed my sentiment in a review of the new album. 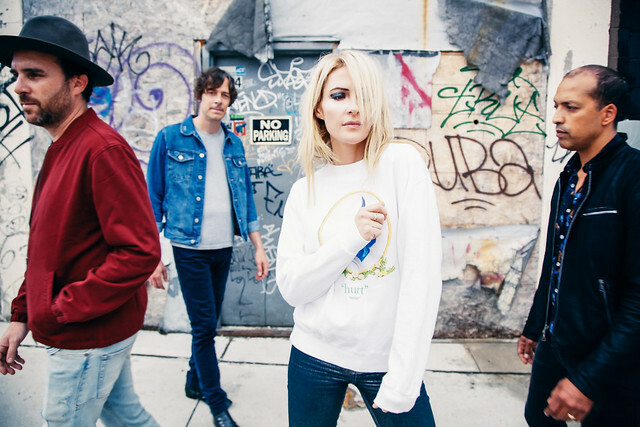 “Whether the attitude is deeply cynical or brightly optimistic, the Canadian band Metric keeps its songs neat, succinct, and tuneful on its sixth album, Pagans in Vegas, making the lessons of 1980s new wave sound current,” said The Times. Electro quintet Joywave open for Metric on Sunday! Tickets are available online. Posted on 07/07/2015 by Mickey McCarter	in Live Review and tagged electronica, Imagine Dragons, Metric, new wave, Toronto, Verizon Center. Emily Haines and Jimmy Shaw perform “The Shade” acoustically for the Verge Music Lab at the Music Mansion: SiriusXM Canada on June 2, 2015. And so Metric kicked off their performance at the Verizon Center Monday night, opening for Imagine Dragons in that band’s Smoke + Mirrors Tour, devoting a third of their set to their popular fourth album Fantasies. “Too Bad, So Sad” was the first of three new songs from the forthcoming album Pagans in Vegas, scheduled for release Sept. 18. Those new songs were undoubtedly the highlight of the show for longtime admirers of the Canadian quartet. The biggest number for Metric in the concert was “Cascades,” which the Toronto new wavers have described as the heart of the upcoming album. “Cascades” is a wholly electronic affair with synths coating Emily’s sweet but sassy vocals to powerful effect — and it’s so deliriously good that it was an instant new favorite for me and also for the thousands gathered early to see them Monday. The song, about “cascading waves of emotion,” is a welcome tidal wave that involves Emily, guitarist Jimmy Shaw and bassist Joshua Winstead trading off on three synthesizers. There are guitar and bass parts as well, and when Emily isn’t behind her synthesizer, she’s at the front of the stage in a purple cape billowing above a wind machine. The arrangement, although simple, is extraordinarily memorable.